CAST: Guy Madison (Jimmy Ryan), Patricia Medina (Sarita), Carlos Rivas (Felipe Sanchez), Eduardo Noriega (Enrique Rios). There is a lot to recommend The Beast Of Hollow Mountain. It’s got cowboys and a dinosaur. It was filmed in Mexico and based on a story by Willis O’Brien, who spent years trying to raise the money to make the film himself – unsuccessfully as it turned out. It’s got Patricia Medina from Botany Bay 1951 in it. Once it finally gets to the dinosaur, it really delivers the goods — although the special effects are not that good.. 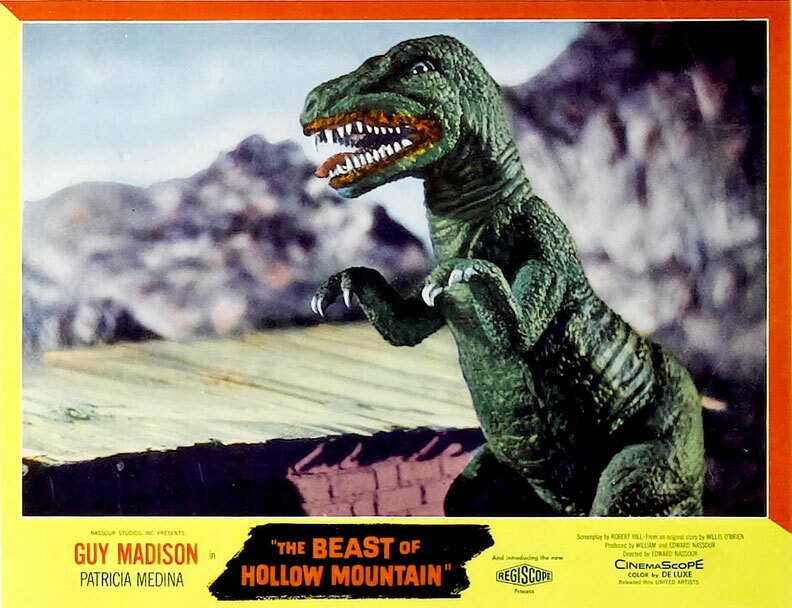 The Valley Of Gwangi(1969) is a better-mounted version of O’Brien’s story, with excellent stop motion stuff from Ray Harryhausen. However, it doesn’t offer as much fun. 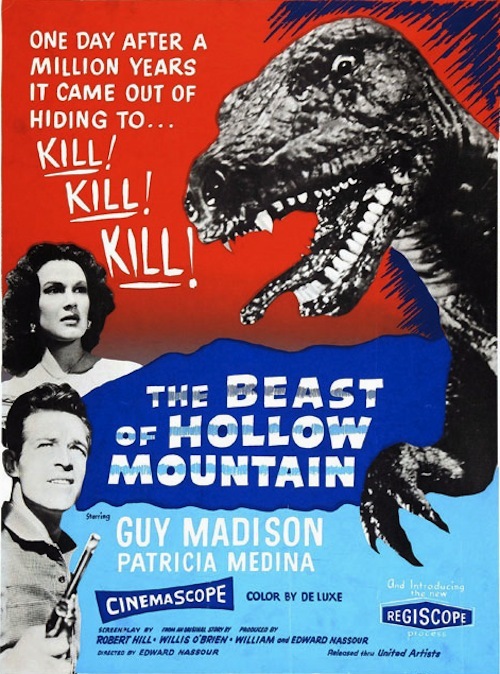 Beast Of Hollow Mountain comes from a real sweet spot in Guy Madison’s career. He’d just done The Command (1954) and 5 Against The House (1955), and he’d follow this oddball sci-fi Western with two of his finest films — Reprisal! (1956) and The Hard Man (1957), both directed by George Sherman for Columbia.